With only a few weeks of the season left I received a 5-arrow Tight Spot Rise, from Rokslide sponsor S&S Archery. It had just hit the market. 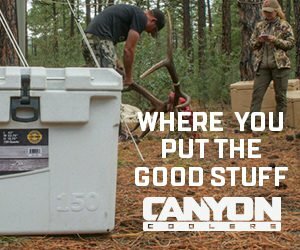 I was swamped with other gear reviews, but I agreed to this one, too, as I had heard a lot about this brand over the past few years. Up till now, I had been using a Mathews specific quiver for a number of years. If you are familiar with Tight Spot’s previous version of this quiver, there are a couple of quick differences in the new Rise. 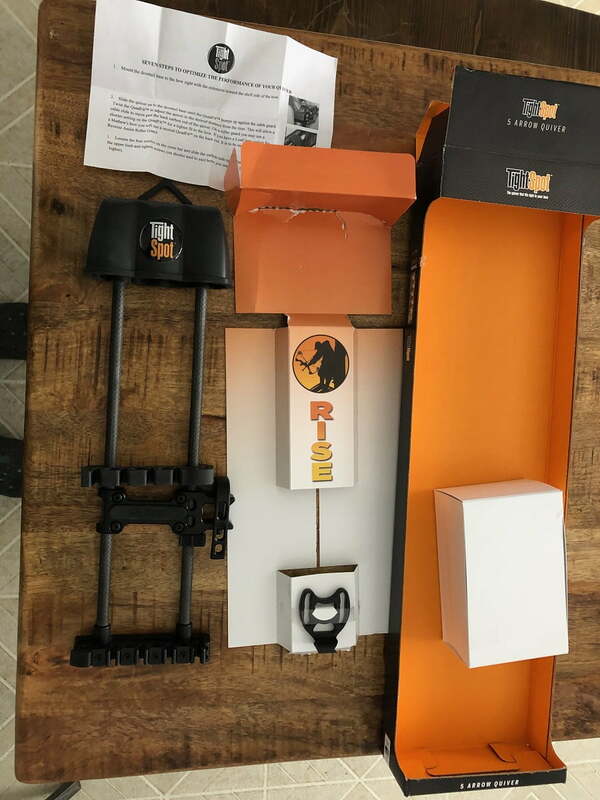 It is 4” shorter, has a built-in loop for hanging in the Treestand, and has a standard secondary adjustable arrow gripper. Upon arrival, I opened the package and laid out the parts. Goal #1 was to see how easy assembly would be, without directions. It all went well, pretty self-explanatory, and I had zero prior experience with this quiver. Usually, when I find something that works for me I like to stick with it. In this case, my bow-mounted system had been a charm for many years. Right off the bat, I noticed this would be a sight mounted quiver, not a direct mount. Quiet, vibration free setups are critical for me. This would be something I watched closely. 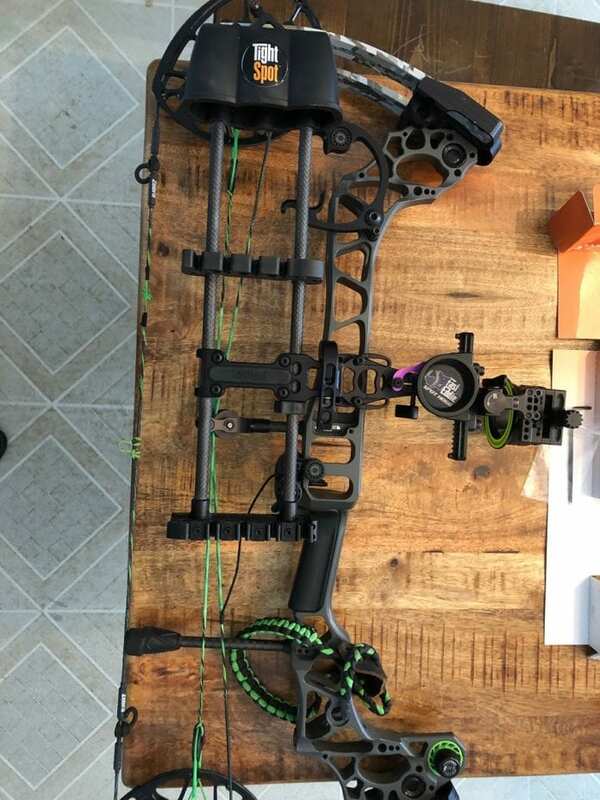 Once assembled the first thing I wanted to do was slide some arrows and broadheads in and see how everything looked and fit. It was pretty nice having my small diameter Easton Full Metal Jacket’s slide in and lock up in the wedge design. Tight Spot has a unique ArrowWedge grip design. This is a trademark design of theirs that allows individual adjustment for each arrow and ensures they lock in place securely. It helps eliminate noise, vibration, and losing arrows out of the quiver. It’s a pretty slick system. I started adding arrows to the quiver. The middle three were fine. Trying to add the outside arrow to the quiver was a challenge. It physically wouldn’t fit because it was hitting the lock down lever and there wasn’t room to get it into the arrow gripper, past the lever. It didn’t matter what I did that arrow wouldn’t fit. So I humbled myself and broke out the directions; I had installed it right. It appeared that this was a left-handed quiver, that was all I could come up with. At this point, I was pretty disappointed. The quiver seemed pretty solid but didn’t make sense if this “5 arrow” quiver would only hold 4 arrows. After a 20 minute time out I started messing with it again. At that point, I noticed that the second arrow gripper could be removed and switched around. 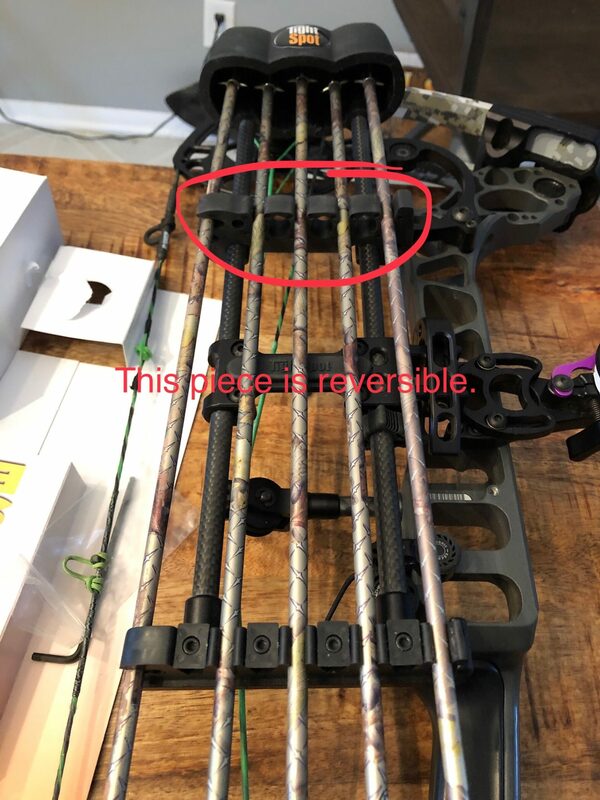 Voila, just like that, all arrows would fit as is, and the entire Tight Spot Rise quiver system made sense. I’m still not sure if it was reversed at the factory or what, but it was good to go now. I now had 5 arrows loaded up with Ironwill Broadheads in the quiver. The deep hood pocket protects us from accidentally touching the broadhead, and the broadhead from being snagged by brush, branches, or other things. A deep, virtually unbreakable hood, that they claim you can drive over and not break. I didn’t try this, however. No foam in this head, only the tip contacts the quiver. This will keep expandable heads undeployed and ready to go. A Quicklock (another TM of theirs) cam for quick and quiet removal/attachment/adjustment; allows 1 handed use. This is pretty nice. 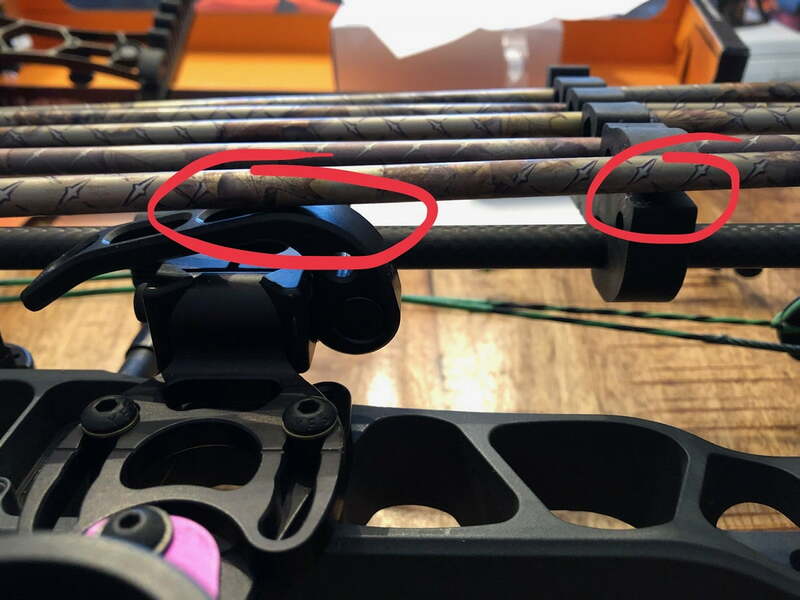 Tailfan is an arrow alignment position that keeps the fletching separated so there won’t be any fletching rub causing noise. Quick Draw. 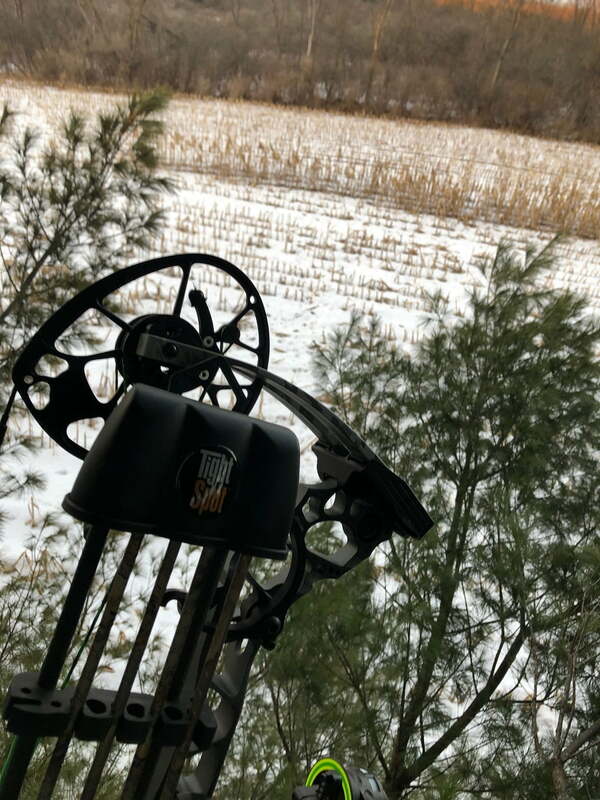 This is the side positioned arrow holder, that allows fast, easy, and smooth arrow removal for a second shot with minimal movement. I think this a great concept. Carbon fiber rods offer a long wheelbase while delivering an amazing strength-to-weight ratio. 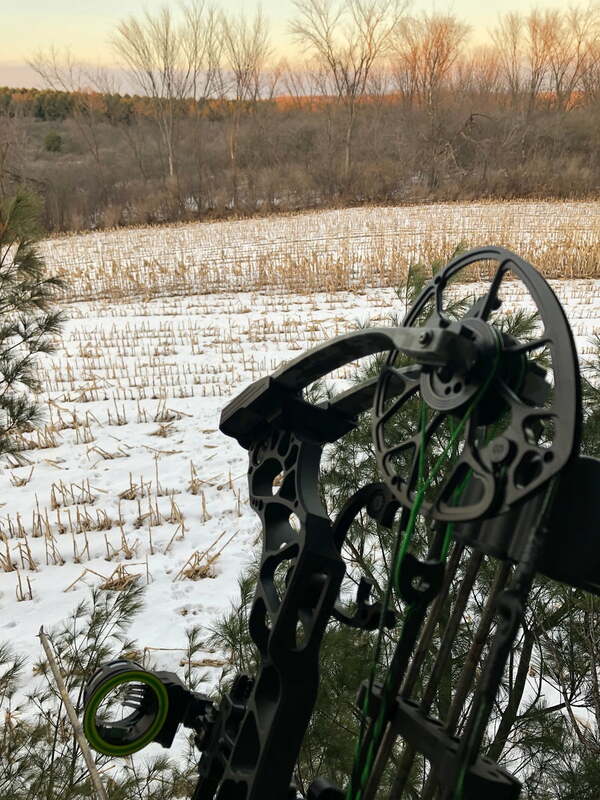 The up/down and left/right adjustment possibilities of the quiver allow the user to help balance the bow reducing torque and increasing accuracy. Multiple Integrated vibration absorption and quietening features. Extra long wheelbase bumper strips on the crossbar, Quadfit 4 way offset spacer, acoustic dampening material in the hood all work together to make the bow quieter with the quiver attached. So what’s so good about a Tight Spot that makes it different or better than a competitors? The first thing you notice is how tight it sits to the bow itself. This reduces torque and noise. This is the most adjustable quiver I have ever seen. 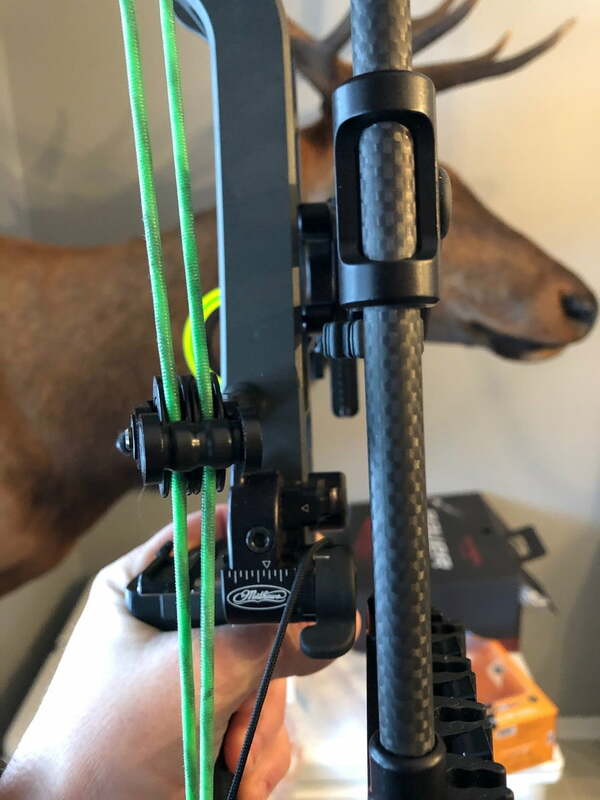 It gives you adjustments in and away from the bow, setting the angle of the quiver relative to the bow, and is vertically adjustable to customize it’s location and balance. All this helps with accuracy and quietness. Although I didn’t use it much, the hanging hook built into the hood worked well in the tree giving me quick quiet access to the bow. You’ll also like the option when storing the bow between hunts. Price. Retail is going to be right around $150 on this quiver. This is definitely higher than most all other quivers on the market. That said it’s only around $20 more than the Mathews quivers I have been using. 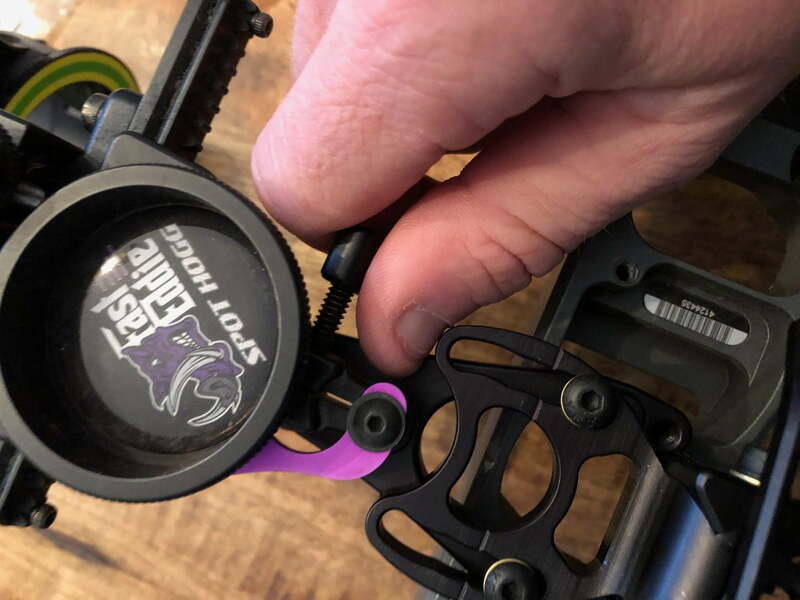 One of the drawbacks of pulling the quiver so tight into the bow (even though that has many advantages) is the ability to get into the adjustable part of the sight and arrow rest. The tight fit of the Rise also made for tight access to sight and rest adjustments. A minor but noticeable issue. Fortunately, the adjustability of this quiver allowed me to make everything work on my Triax. It could be a challenge for some, as in the case when adjustments are maxed out to the far-away position, but I was able to make it work. I did get out on two evening sits with the Tight Spot Rise, and shot many practice arrows with the quiver attached. It gets a “two thumbs up”, and I’m pretty happy overall. I plan to add it to the new Vertix and will continue adding information to the thread linked below. 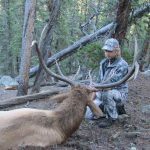 The Tight Spot Rise is a tough, quiet, secure quiver that I had no problem trusting in the field. Personally, I worry about those things before price. There are a couple of “tight spots” in the sight and rest areas, but it’s not enough to deter me from using the quiver. Big thanks to S&S Archery for letting me try this quiver. Be sure and give them your support if you decide to order here. Available in most of the popular camouflage patterns and black. You can comment or ask Les questions here.